NTELS announced on July 21 that it has signed an investment treaty for Energy Valley with Korea Electric Power Corporation (KEPCO). NTELS have undertaken various research and development projects with Korea Electric Power Research Institute, including drone operating service platform for power transmission line monitoring, electric power software platform and standard-based electric vehicle (EV) charging infrastructure platform. As an IoT platform provider specialized in energy, NTELS has now begun undertaking the Energy Valley project that establishes a global smart energy hub of energy industries. 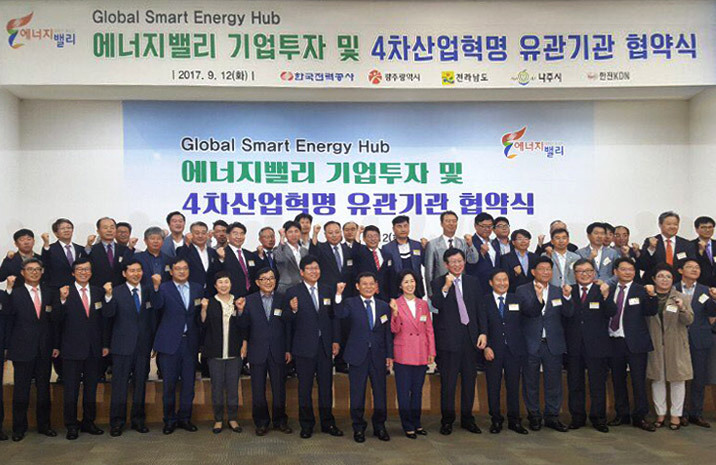 The company also established a regional office in Naju for the “Bitgaram InnoCity Energy Valley” project as well as for balanced regional development and being at the frontline of the Fourth Industrial Revolution.